When a distress call is received from a mining colony at the edge of Confederation space, Captain Tyler Barron must take the battleship Dauntless forward into the unknown. His superiors believe that Union deceit is at play, that the attack is merely a diversion. Stopping whatever is happening on the rim is Barron’s responsibility, and his alone. He must face the enemy, and win the victory. Before the Confederation is caught between two enemies and destroyed. I didn’t want this. I would have fled from it, if I could. The monstrous creators of the Game forced me to play, fighting for my life on a beautiful, vicious alien planet. When a Player wins, the miraculous rewards allow us to upgrade the things that make us weak. At first, I was enamored by the ability to augment everything about myself—to be come smarter, stronger, prettier…better. But after that first Trial, I would have done anything to escape the Game. I needed power to protect myself and those I care about. So I took it. They say there is no escaping the Game, except through death. But I’m the type to cling to life by the tips of my bloody fingernails. They say the Goblin King will give a gold coin for every night a girl spends with him. I shouldn’t be intrigued. Everyone whispered about him. But when my father lost his money, all my wonderings came true. A steamy fairy tale retelling! When mortals turn their backs on gods, the gods will return with a vengeance. The world’s heroes must accept who—and what—they are, because the forgotten gods of ancient religions have returned. And they’ll no longer be ignored. In this classic mix of detective noir and golden age derring-do, the world’s greatest superhero is mysteriously murdered, and only a former villain turned PI can find the killer in time. With a milestone birthday looming, newly single Carrie isn’t looking forward to the not so secret surprise party she has coming up, especially since her ex is going to be there with his brand new fiancé. But, when a strange chance encounter with the hottest man she’s ever seen sends her spiraling into a world she only thought existed in fables, Carrie soon finds that her life and identity is nothing like she imagined. Waking up in Camelot, Carrie finds herself surrounded by five-count ‘em five- smoking hot men, all sworn to stay by her side. They tell her that she’s the daughter of King Arthur and, as such, rightful queen of Camelot. 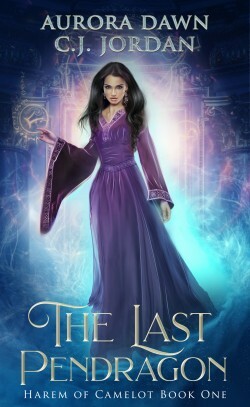 But, with a dark queen already sitting on her throne, Carrie and her gaggle of supernatural protectors must embark on a journey that will bring them closer to death-and closer to her- then any of them ever imagined. 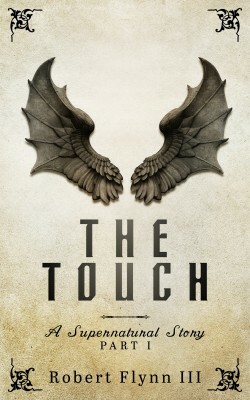 The Touch is FREE from 09/10/2018 to 09/14/2018 on Amazon!!! The Devil is in the details of this supernatural thriller, with many engaging human and superhuman characters! Gabriel is a special boy, living in an orphanage his entire life with no memory of his parents. He appears autistic because he is hearing a voice that consumes him. The voice is real, but it is a supernatural presence. What the voice gives him is a power that he can transfer by touch. The problem with this mysterious blessing is that Gabriel does not trust this voice completely. This distrust never leaves him, and for good reason, but Gabriel finds that the wonder of what he is experiencing is far too great for him to resist and this is where the story begins.